Men’s Golf for SAC Championship? Golf is a world renowned sport known for sportsmanship, athleticism and precision. The athletes who dedicate themselves to the sport give it their all as they push themselves to new heights and put in an unprecedented amount of hard work. Here at Catawba College there is the same expectation for our golf athletes. These athletes are some of the hardest working students on campus and their past season’s success has put their dedication on display. 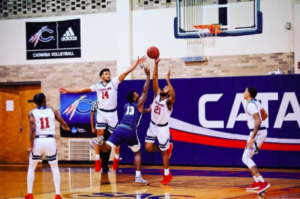 Last year, the Catawba College men’s team performed well enough to earn a spot in the SAC championship. Although they may have fallen short of the trophy, landing at position 10 out of 11, much promise was shown. This year, Catawba is ready to take the next step and commit to bringing home the gold. 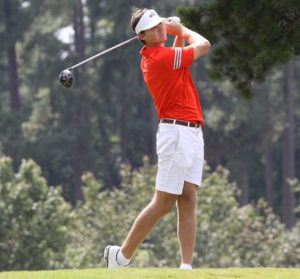 Senior, Trey Burton, was one of the team leaders in last year’s championship. “Honestly we have a great squad, I want to win it all this year.” Trey Burton is a four year player and a team leader for the golf team. “I don’t want to settle for anything less, it may be a tough goal but I believe we can get there.” Last year’s loss has become a driving force for the team. They see this season as an opportunity to assert their dominance on the rest of the SAC and set a precedent of winning for years to come. Burton and the rest of the team are excited to grind this season out. We hope we can get a chance to see the team back in the SAC Championship this year.